Making predictions is difficult, especially about the future! 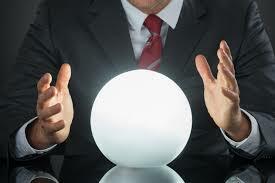 But if you can’t predict the future, how can you make decisions about your business? Should you expand your business? Should you hire a new employee? Should you invest in new software or equipment? Everyone of these decisions is a risk, but only if you don’t know what the future holds for your business. Now traditionally, business owners, justifiably, pay a lot of attention to their revenue and their bottom lines and their bookkeepers provide them regular reports on this information. Good business owners pay a lot of attention to these reports, but even if they are produced in a timely fashion, rather than a month after the end of a quarter, they only tell you what has happened, and not what’s going to happen. It’s like driving a vehicle by looking in your rear vision mirror.